Obituary for Ruby Naomi (Hunt) Houpe | Hairston Funeral Home, Inc.
Mrs. Ruby H. Houpe, age 92 of Cleveland, NC, passed, Monday, June 18, 2018 at Lutheran Home at Trinity Oaks, Salisbury. She was born in Iredell County on September 24, 1925 to the late James Hunt and Vetta Morrison Hunt. She was a graduate of Unity High School in Statesville, NC. She was last employed as a furniture worker with Bernhardt Furniture Company. 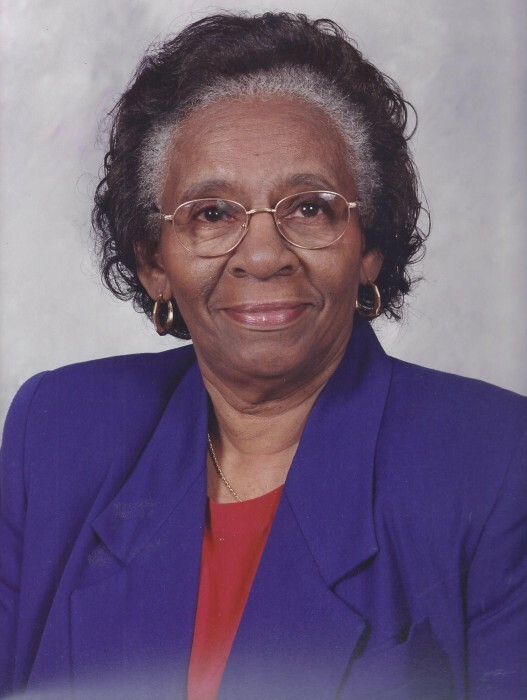 She was a devoted member of Moore's Chapel AME Zion Church, Cleveland, NC, where she served as a Missionary, Usher, and member of the Culinary Ministry and Lay Council. She was also preceded in death by her husband, Joseph C. Houpe, a daughter, Linda Houpe, brothers; James D. Hunt, Charles W. Hunt, Arthur Z. Hunt, Thomas C. Hunt, Robert B. Hunt and Stamin Hunt and her sister, Flossie Hunt. Precious memories remain with her children; Joseph D. Houpe (Ann) Burlington, NC, Russell V. Houpe, (Margie), Spencer, Larry D. Houpe (Doris), Zebulon, Phyllis E. McBride, and Brenda Houpe; eight grandchildren, and a host of great grandchildren, nieces, nephews, cousins and friends. Service: Saturday, June 23, 2018 at Moore's Chapel AME Zion Church, 5890 S. River Church Rd., Cleveland, NC 27013. Visitation: 11:30 a.m. Funeral: 12:00 p.m. Burial will follow in the church cemetery. Rev. Eddie Fortson, pastor, eulogist. The family will receive visitors at the home located at 16550 Dooley Road, Cleveland, NC. Online condolences may be made at Hairstonfh.com Hairston Funeral Home, Inc. is serving the Houpe family. There will not be a public viewing.